March 20, 2013, Silver Spring, Md. 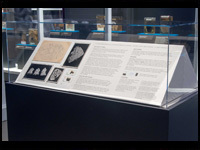 : Microscopically-thin sections of Albert Einstein's brain are on display at the National Museum of Health and Medicine (NMHM), as part of an installation titled "What Can We Learn from a Brain?" The temporary exhibit will be on display from March 19, 2013 until June 30, 2013. In 1955, pathologist Dr. Thomas Harvey performed an autopsy on Professor Albert Einstein and preserved the brain for study. Several years after Harvey passed away, his estate contributed Harvey's slides and related archival material to NMHM. The slides and other materials are managed by NMHM's Otis Historical Archives. "Dr. Harvey made a life-long commitment to preserving and studying this very unique specimen and NMHM has been entrusted with the legacy he left behind," said Dr. Adrianne Noe, NMHM Director. 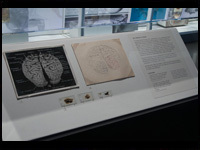 The new exhibit features "maps" and photographs Harvey prepared while processing the brain before, during and after the sectioning process in the months after Einstein died. 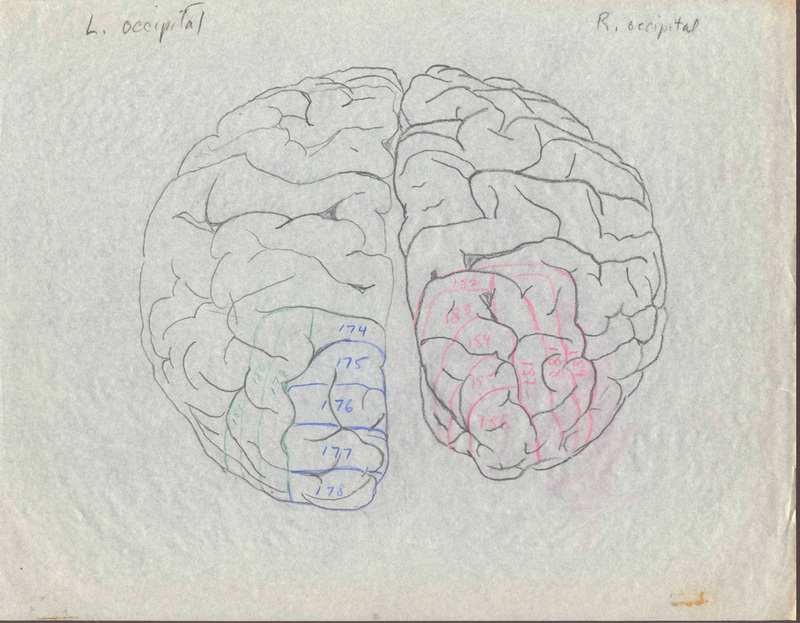 The photographs and maps have never been on public display and make available, for the first time, the means by which sectioned brain slides can be associated with their location in the brain. The maps and photographs may offer insights into understanding what made Einstein's brain so unusual. The maps and photographs also demonstrate the care taken by Harvey to protect this material for future scholarly work. "What Can We Learn from a Brain?" will also discuss the simple act of observation as part of the study of the brain. 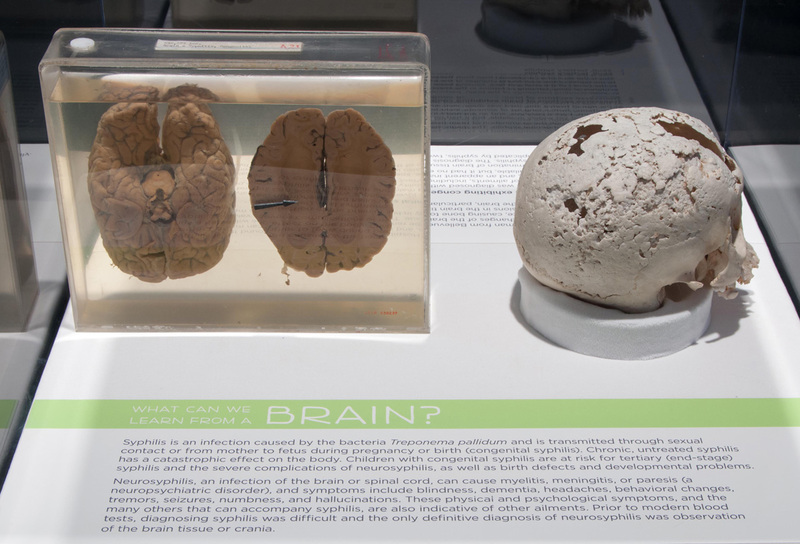 Specimens on display are real examples of disease, trauma or conditions that can affect the brain—and that can be observed by the unaided eye. Sections and whole brain material will offer visitors the chance to understand the importance of visual observation of the brain as part of diagnosing diseases such as Alzheimer's or cancer. Additionally, "What Can We Learn from a Brain?" 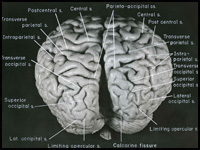 will include the brain of Charles Guiteau, who assassinated President James Garfield in 1881. Guiteau appeared mad or insane at the time of the shooting. After his execution, his brain was preserved and studied by pathologists at the Army Medical Museum (the progenitor of today's NMHM). 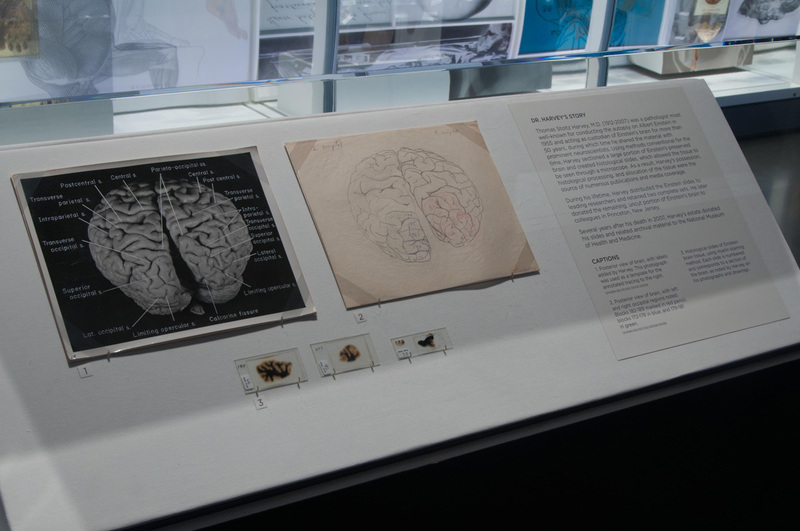 Stimulating quotations from leading neuroscientists and others grace the exhibition. NMHM is engaged in a collaborative agreement with the National Museum of Health and Medicine Chicago (NMHMChicago). NMHMChicago recently performed digital scans of Dr. Harvey's slide sets. The Chicago team contributed a complete set of the new digital scans of the Harvey slides to the NMHM archives as part of the agreement. 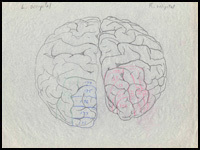 Using the new digital, high-resolution scans of the Einstein slides, NMHMChicago published a new interactive application called the "Einstein Brain Atlas" in September 2012. 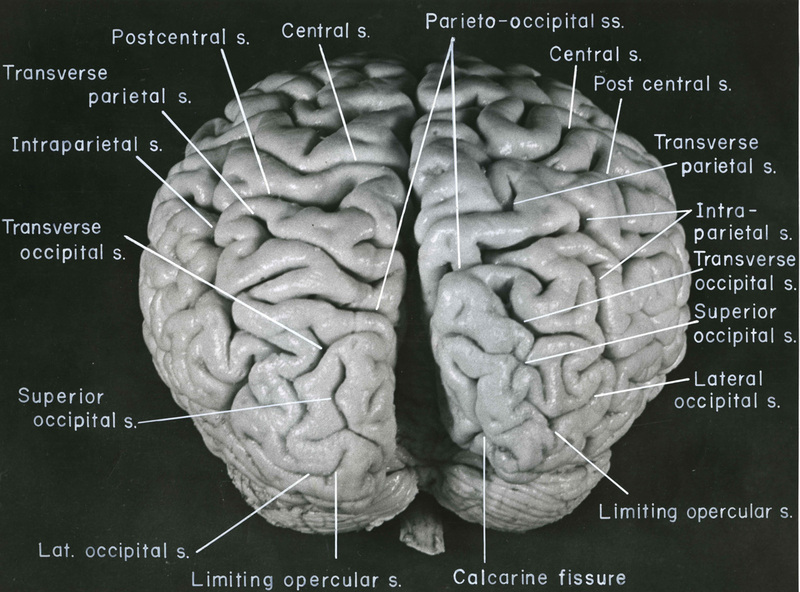 Scientists at NMHMChicago developed an atlas of Einstein's brain from more than 350 neuroanatomical images. The slides can be explored at the cellular level using the innovative new Vscope System, a virtual microscope also designed by scientists working for NMHMChicago. To inspire the next generation of brain researchers, the Einstein Brain Atlas iPad app will be displayed in the NMHM gallery on a 60-inch interactive screen with a multi-touch overlay, allowing visitors to interact with hundreds of life-size, ultra-high resolution slides of the Nobel Prize-winning physicist's neuroanatomy via a virtual microscope system. "This exciting project represents the first time a cloud-based iPad application of this scale has been adapted to stand alone in a museum environment," said Dr. Michael Doyle, Chairman of the National Museum of Health and Medicine Chicago. "We faced significant technical challenges to create a system which provides the same 10 terabytes of Einstein neuroanatomical images that the Einstein Brain Atlas iPad app delivers over the Internet, only in a museum exhibit running an internal virtual cloud. The virtual microscope system that looks cool running on a 10" iPad looks amazing running on a 60-inch interactive display in the museum." Also included in the exhibit is the first ever 3D model of Einstein's brain, created using multiple reference photos at different angles. Both the iPad app and the museum adaptation of it are the result of a collaborative research and development agreement between the DoD's national medical museum in Maryland and the NMHMChicago. 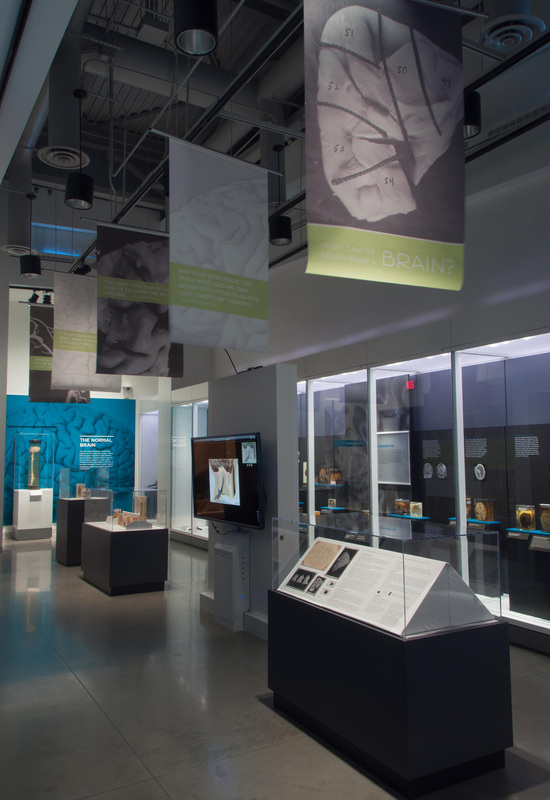 NMHM is home to one of the world's foremost brain collections, numbering thousands of whole brain specimens and tens of thousands of sectioned brain material. 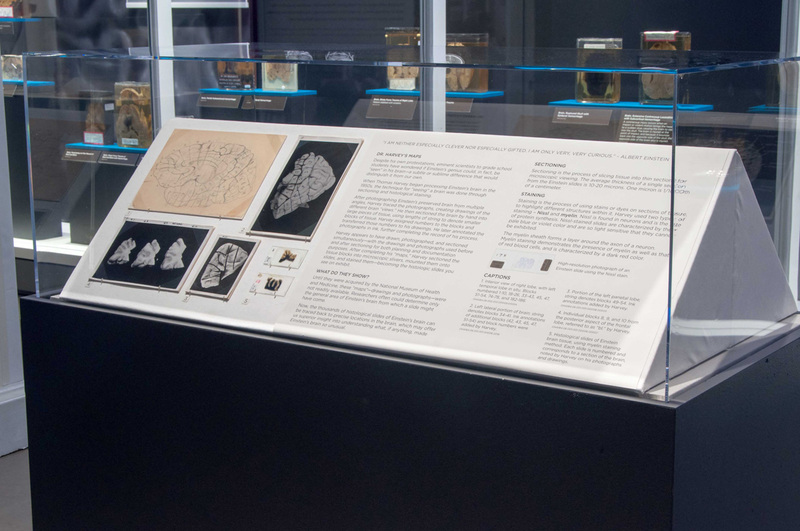 The collection is vital research resource that has led to ground-breaking research and educational projects. 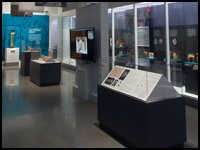 In May 2012, NMHM opened a new exhibit that features traumatic brain injuries. 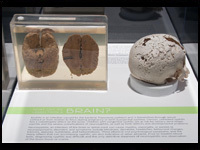 The installation showcases actual human brain specimens that demonstrate a variety of brain injuries, including hemorrhages, blunt force trauma and bullet wounds. Many of the specimens featured in the exhibit have never been on display. Also included in the exhibit are medical and surgical tools used to diagnose and treat TBIs, and devices such as video games and acupuncture needles used in rehabilitating of patients with brain injuries. The TBI exhibit is expected to be on display at least through 2013. Media representatives are invited to view the Harvey exhibit. Advance notice is required. Contact Melissa Brachfeld, NMHM Public Affairs Specialist, at (301) 319-3313.